Demtec sowing machines from Transplant Systems are designed to broadcast-sow seeds of various types directly onto a pot containing soil. The sowing machines can be fitted as an optional attachment to any of Demtec’s potting machines to save labour costs. One sowing assembly is included in the cost of the machine and additional sowing kits can be supplied for other seed sizes. 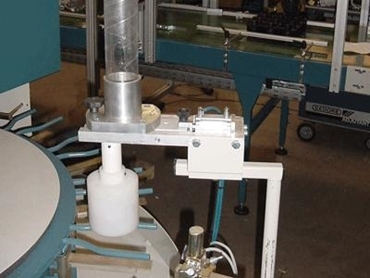 Demtec seeding machines work on the side of a potting machine or conveyor belt. The sowing machines are available in single or double versions and can be set up for most potting machines.